fun ideas, an use case to learn game development and the CG rendering pipeline. This entry was posted in projects on 17/06/2016 by Stefan S.. The “about” section of the games homepage gives further information. This entry was posted in projects on 15/12/2015 by Stefan S..
of 5 computer science and media technology students. We were developing a game where people are encouraged to blend into the role of a young yedi aspirant, trying to learn the fight with lightsabers. The first prototype consisted of the Oculus Rift Headset and the Leap Motion controller and was presented to a public audience. Eventually we were working on improving the game and presented it at Comic Con Gamex in Stockholm in October 2015. Here you can find a Facebook event for the presentation. to couple the different game elements. correctly with our virtual lightsaber. the Kinect SDK for positional tracking. into a smooth 6DOF tracking. website of the course “Advanced Graphics and Interaction” within we were working. Padawan101 was nominated for technical excellence at the C Awards 2016. 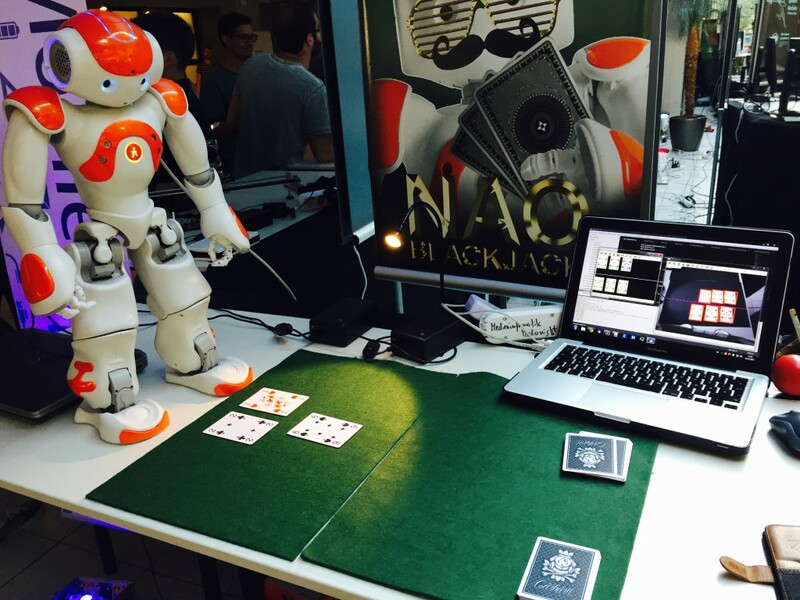 This entry was posted in projects and tagged 3d, development, Kinect, unity, virtual reality on 10/10/2015 by Stefan S..
technology to play the card game Blackjack against a human person. the correct card values through a feature detection algorithm. He expressed his decisions with speech and gestures. The project was done in about three month by three people in summary. Written in Python by using OpenCV and Numpy. This entry was posted in projects and tagged computer vision, opencv, robotic on 03/07/2015 by Stefan S.. I am happy that I am able to get my first experience as lecturer this summer. or alternative input methods like gesture control etc. engine together and write a simplified version live in the class. This entry was posted in projects and tagged programming, virtual reality on 09/05/2015 by Stefan S..